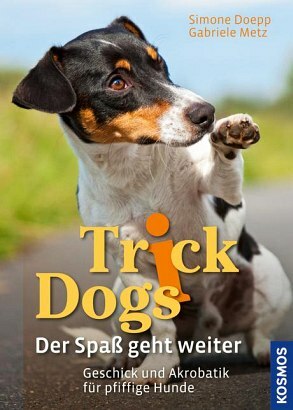 Product information "Trick Dogs - Der Spaß geht weiter"
The fun continues, thanks to the Trick-Dog-Team who are constantly inventing new tricks. Higher, further, trickier - or simply more fun. Dogs who can roll up rugs, browse through photo albums, hide in suitcases or peel bananas. These four-legged friends approach every new learning experience with zeal, look forward to each new trick and become ever more alert and attentive. Here’s to new ideas!